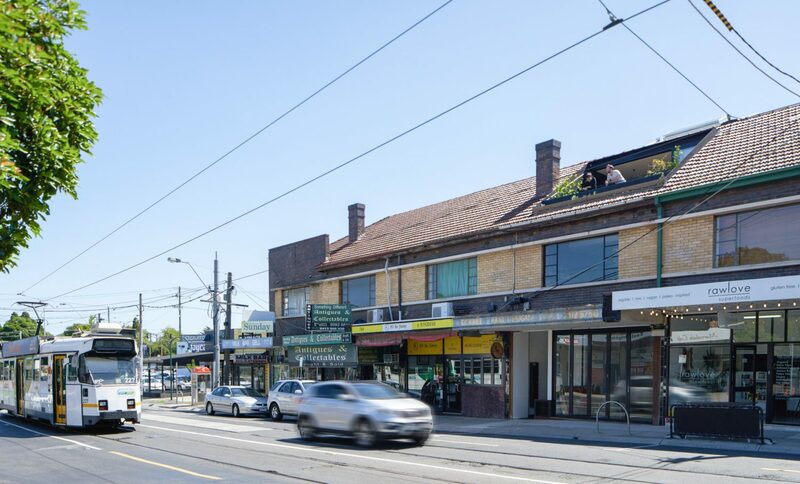 Located in the inner suburb of Brighton East, 11 km south-east from Melbourne’s central business district, the H.I.V.E. 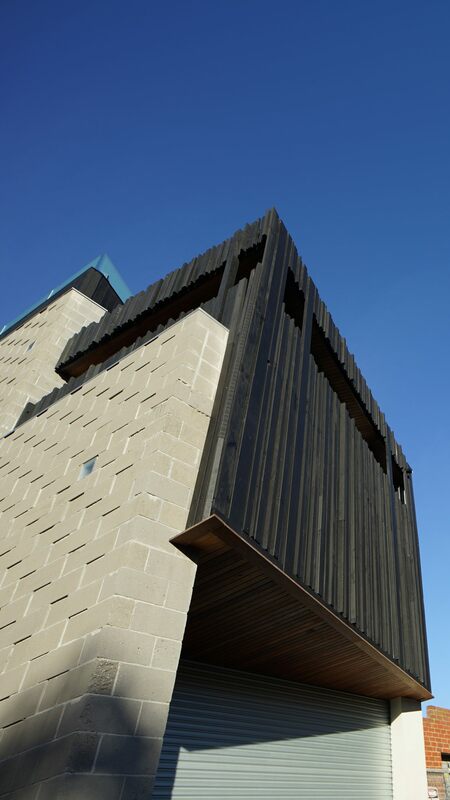 (Hybridized Interlocking Vertical Environments) x Five is sited behind an existing façade on a tight 220m2 site with constraints on the north and south of boundary wall construction. 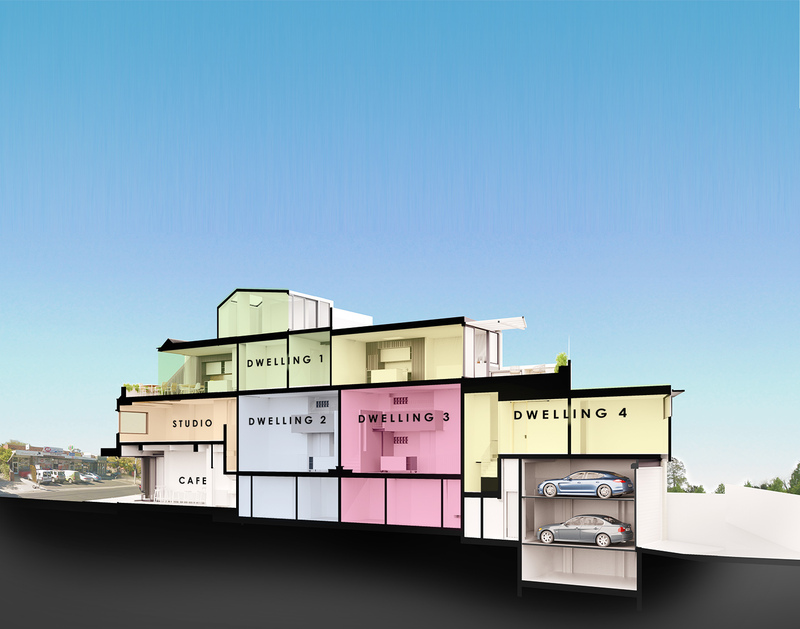 This 5 unit development consists of a shop front, an architecture studio and four dwellings with car stackers to the rear. 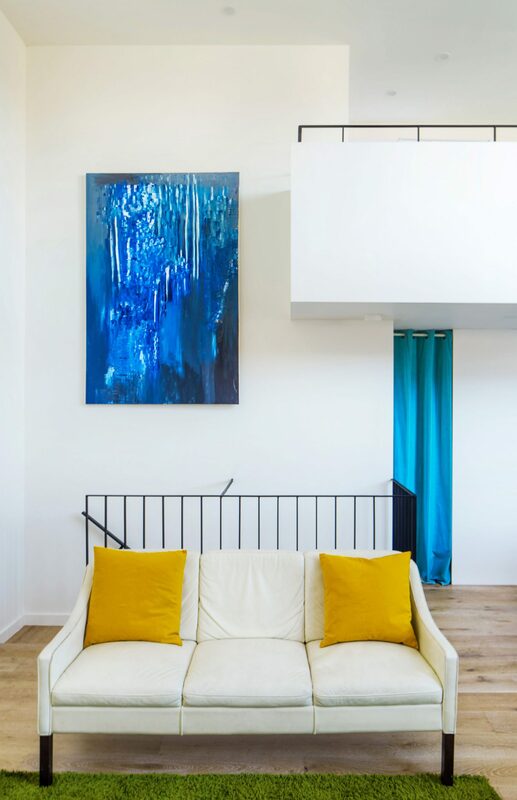 Conceived predominantly in section, this unusual approach allows for a diverse and unique set of high quality spaces that are all too often foreign to the apartment typology. 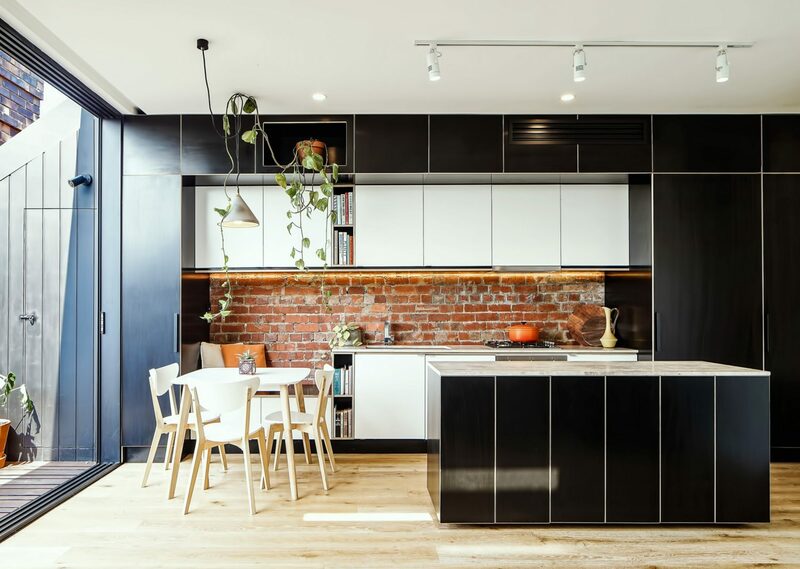 Designed, developed and built by Megowan Architectural, this project deals with both urbanization and renewal in a particularly relevant way. The H.I.V.E. x Five is built evidence that good design can successfully balance the often competing challenges associated with adaptive reuse, urban consolidation, and the creation of high amenity places to thrive in. 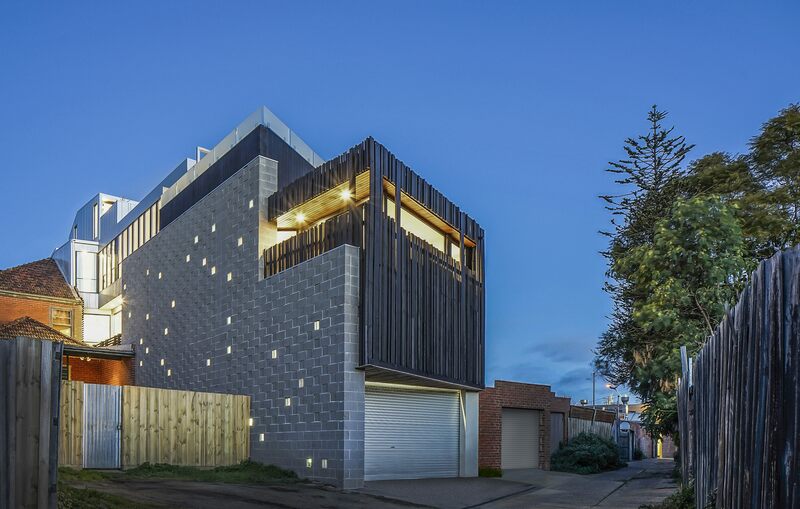 At the street level, the new form recedes into the roofline. 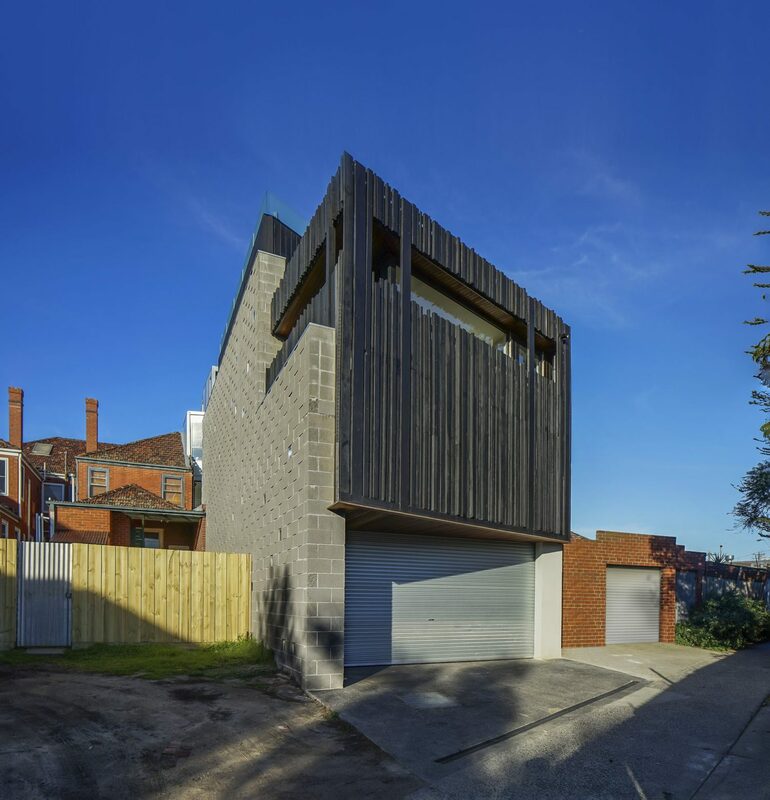 The street front dwelling is designed as a live/work unit with Megowan Architectural located within the existing façade of the shop. 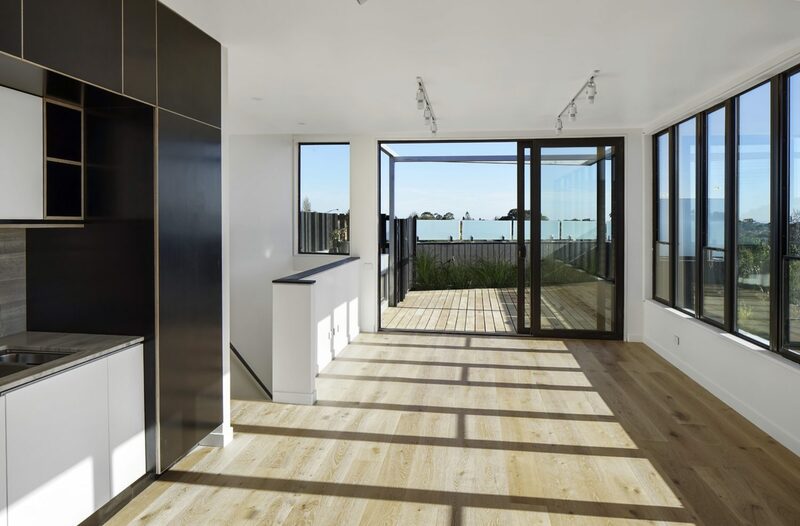 By puncturing the existing roof of shop front retail spaces, a casual north-easterly deck opens the development towards the internal spaces which seamlessly flow from the outdoor living into the kitchen and meals area. 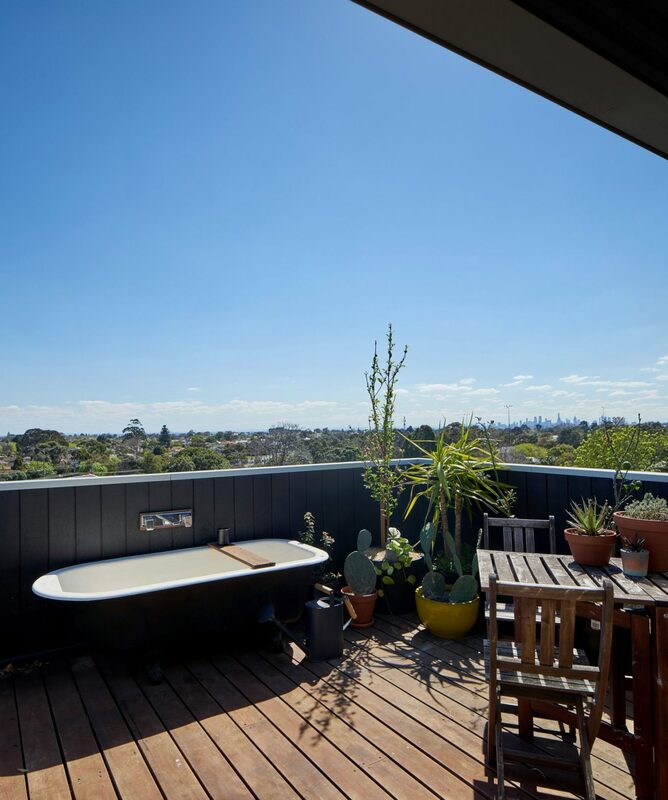 Perched over the middle dwellings, the front dwelling climbs four storeys up to a rooftop deck with a claw foot bathtub and views overlooking the city skyline. 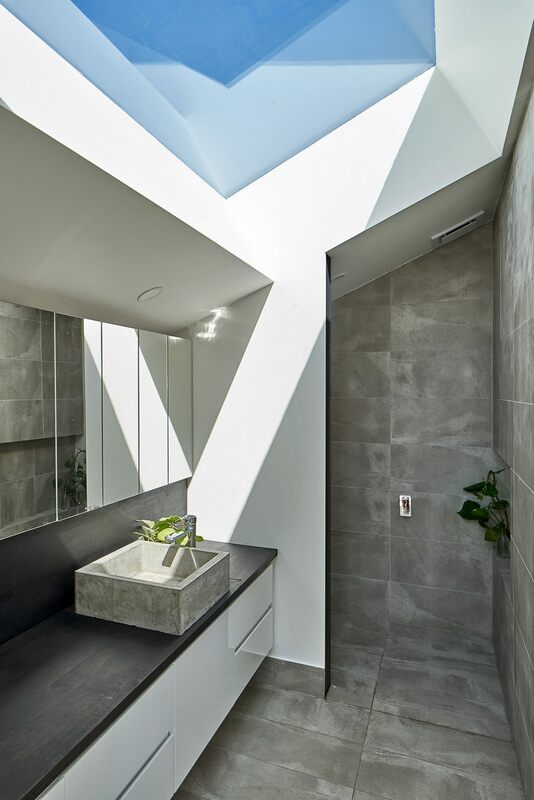 Skylights allow light to penetrate deep into each unit, uniquely designed for each spatial condition. 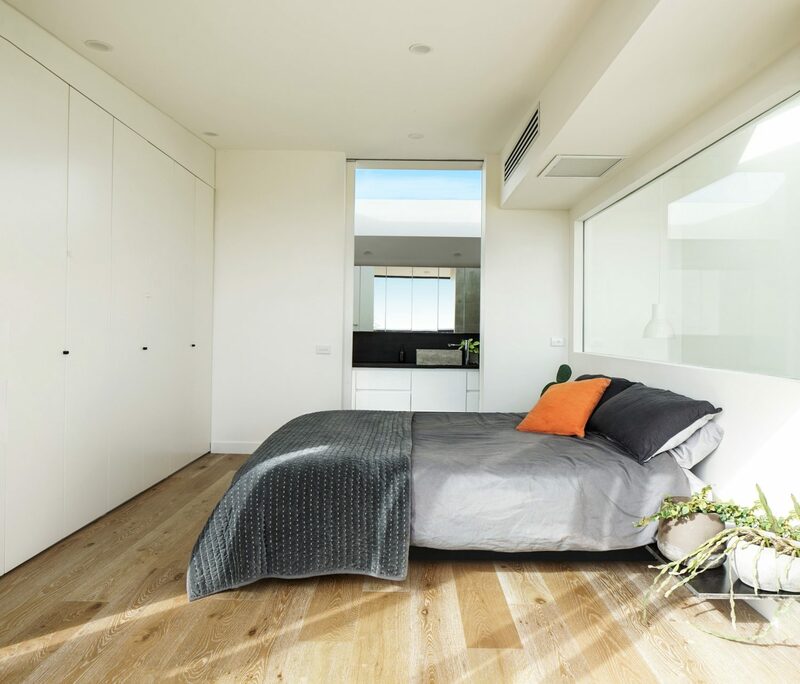 Dwellings 2 and 3 feature generous northern light courts with light filtering decks, two storey walls of windows and sliding doors. 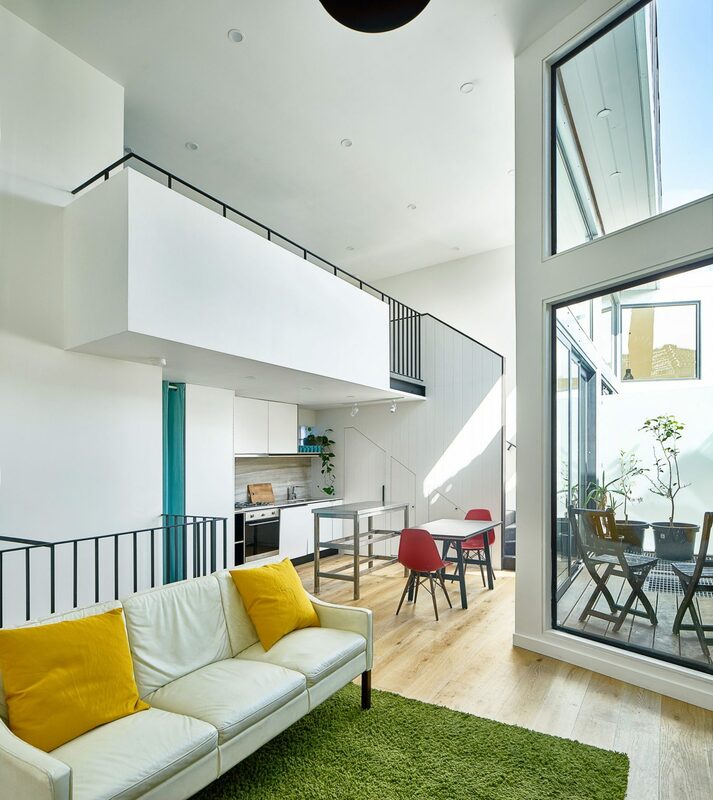 This airy central courtyard floods the double height kitchen, living and meals areas with abundant daylight and cross ventilation. 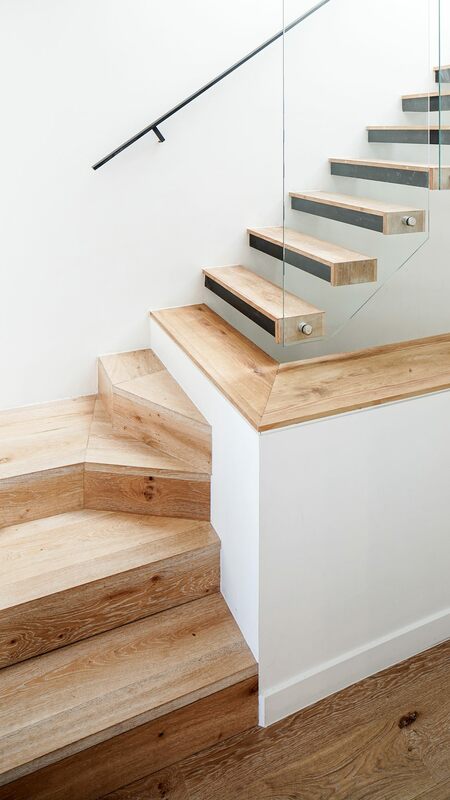 Honest materials have been carefully balanced throughout the design. 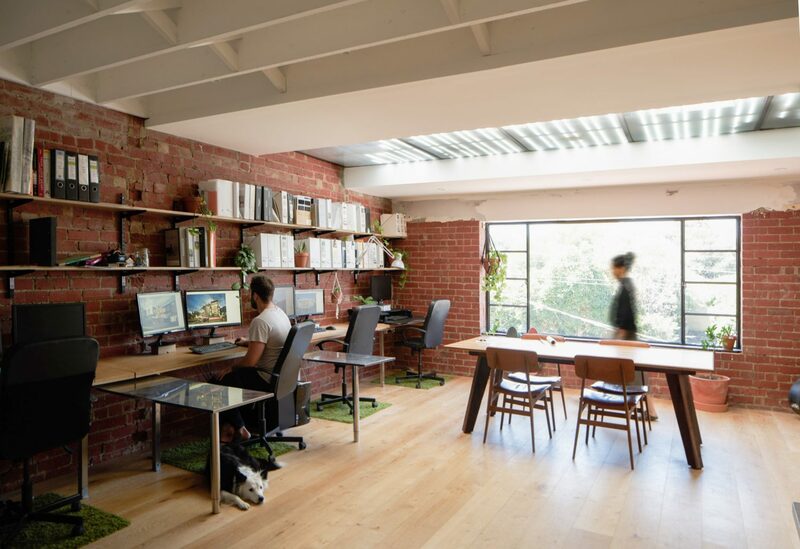 Extensive spotted gum frames and inlays, fitted film faced birch ply joinery, exposed brick splash backs and vein cut limestone bench tops create visual and experimental interest throughout each dwelling. 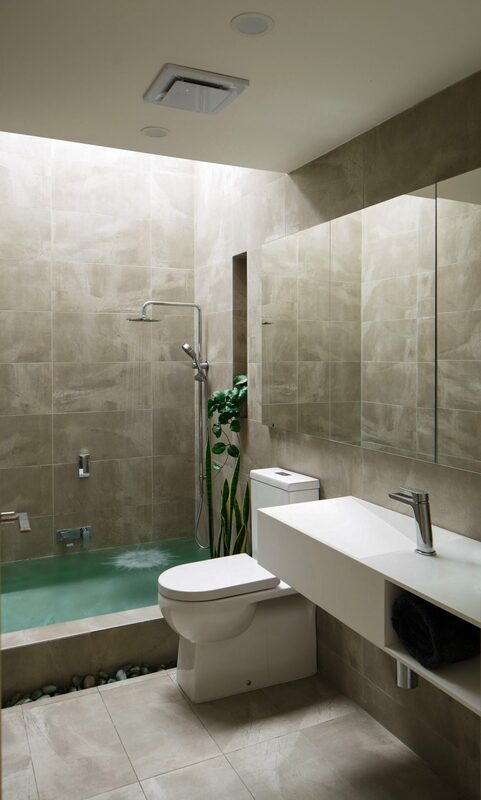 Sunken bathtubs were added to the units to maximize both the use and feel of space within generally efficient and compact bathroom layouts. 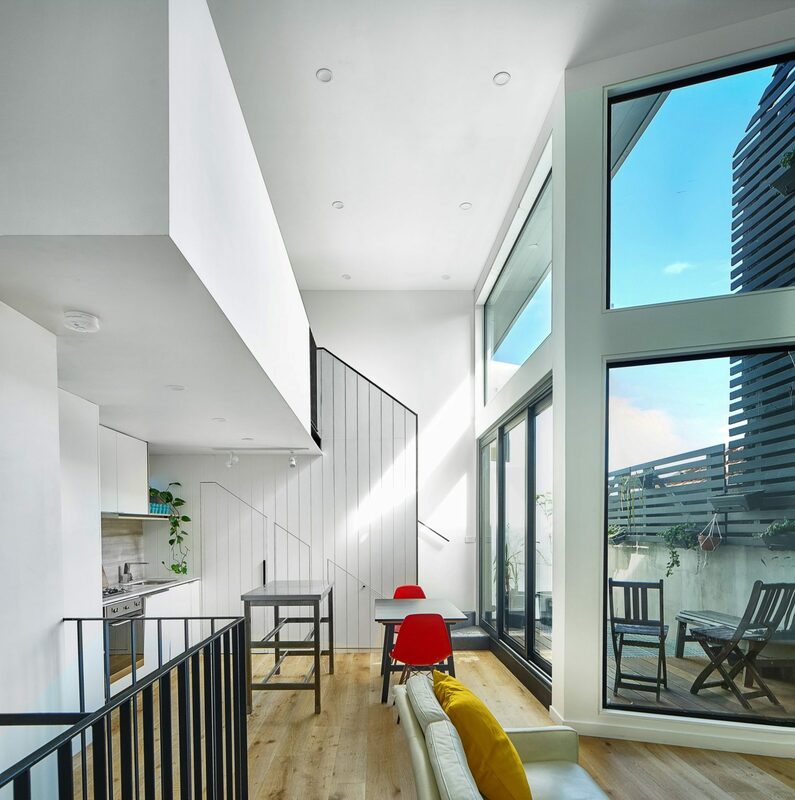 Sporadic glass blocks penetrate the articulated quarter bond block work on the boundary, allowing ambient light into the interior spaces, while creating visual interest internally. The dwellings have been designed with a strong focus on flexibility, which allows residents the comfort of a longer lasting family home. Designed to have all services and appliances located along the kitchen wall, the mobile kitchen island allows for the living rooms to have multiple configurations to allow the space to adapt for both intimate gatherings as well as larger scale entertaining. 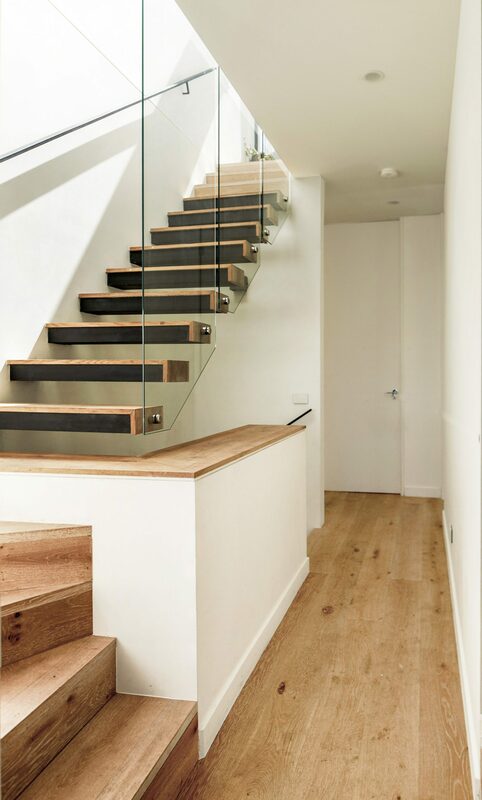 A multipurpose mezzanine loft above the kitchen in the middle units further allows for additional flexibility. 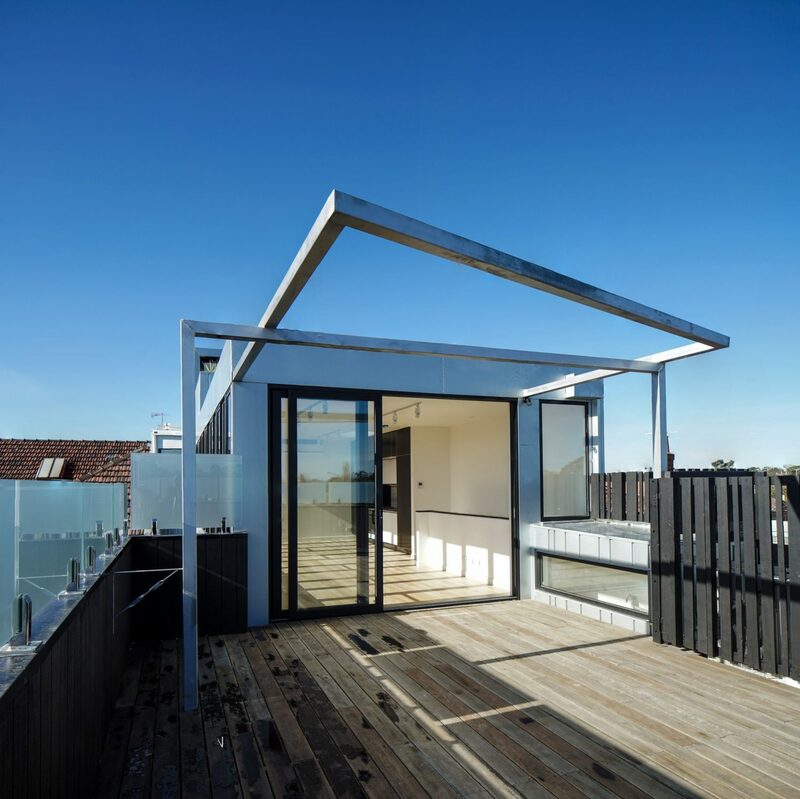 Fronted by a continuous wall of north facing windows overlooking Melbourne’s bustling city centre, the rear unit opens out towards the west onto a large trapezium shaped deck and galvanized steel pergola structure that frames the sunset over Port Phillip Bay.